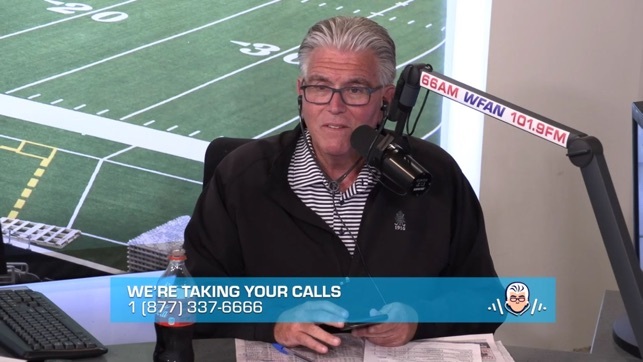 Enjoy Mike Francesa wherever you go! 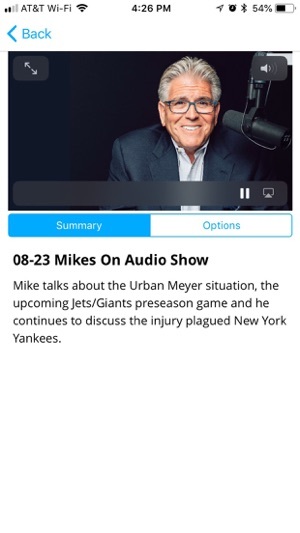 The Mike's On app requires a paid subscription in order to enjoy video content. Subscription plans can be purchased at either monthly or yearly intervals. of the current period. Your account will be charged for renewal within 24-hours prior to the end of the current period at the rate of your selected plan. Subscriptions may be managed and auto-renewal may be turned off by going to your Account Settings after purchase. 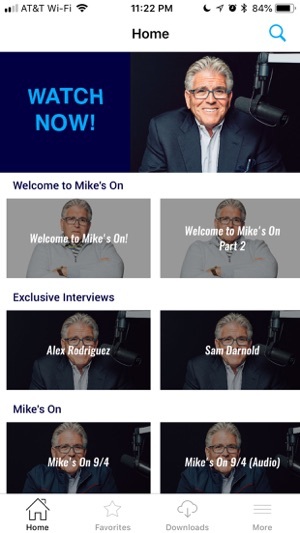 If you haven’t subscribed through iTunes, you can manage your subscription through the Mike's On website. Was a subscriber the first few months, only to realize the content does not justify the outrageous price of $8.99/month. 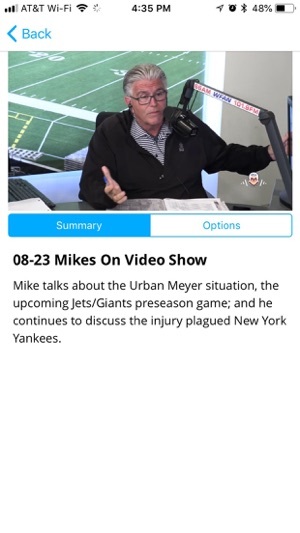 I like Mike, he’s one of a kind and I’ll miss him when he retires (for good this time), but to charge that price for something that I can listen to free on a live stream just doesn’t make sense. The ONLY way to justify paying that is if he was exclusively on the app (he claims this will be the case in the future), but until that happens I’m satisfied listening on the stream. 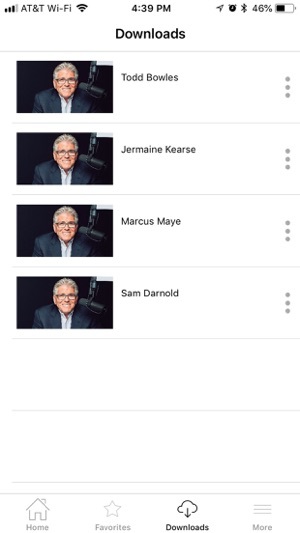 No offense to his “contributors”, but I have 0 interest in their bits on the app. If he wanted to provide immediacy and exclusive content, all he would have to do is create a podcast, find a few advertisers and go from there (see the Evans Roberts podcast), but instead he chose to get greedy. Can’t see a long term future for the app unless the price is cut in half and he goes there exclusively. 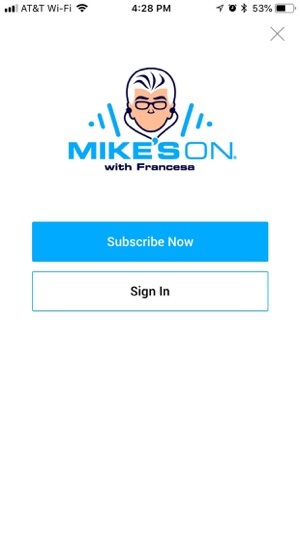 The bottom loyne here is that the Sports Pope Mike Francesa created an exclusive revolutionary app. It will be the greatest revolutionary app in the history of the iStore. Now whether the price point of $ Noyne dollars a month werries you or not is up to you. 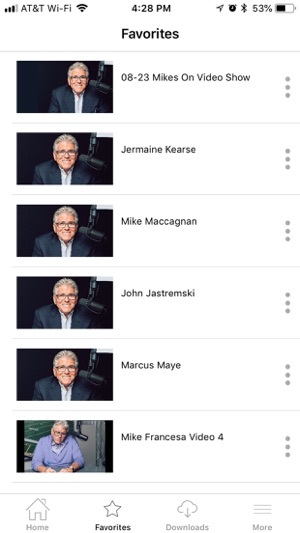 Mike’s still gonna be there the next day and the next day (through 2020) and get paid a fawchin to do so. He’s not gonna werry about it. And you sat dere an ouah to read this review. That’s da sad pawt. Dawg’s pals like Raissman and Mawchawnd in da newspapuh can write about dem chasing me down in Jersey. But this app’s been #NumbahOne befoah I even lawnched it. And it’s gonna be Numbah One lawng aftuh it lawnches. So if youah gonna come aftuh duh spawts pope you best not miss. And you better bring moah dan a peashootah. I’ve seen nothing but complaints on social media regarding the price of the app. Lets do some math. I went to the movies with my two sons last week. It was $49 for admission. Three sodas, a large popcorn, a bag of M&Ms, a bag of gummy bears and halfway thru the movie we shared an order of nachos and cheese for a total of $42 on snacks and drinks. They each played a video game before we went in for $2 each. After all that, I watched a movie I didn’t enjoy 1 minute of for $95. For the same price I get a year of mike?! It’s a bargain. Thank you for existing mike. I look forward to spending more time with you in the future.